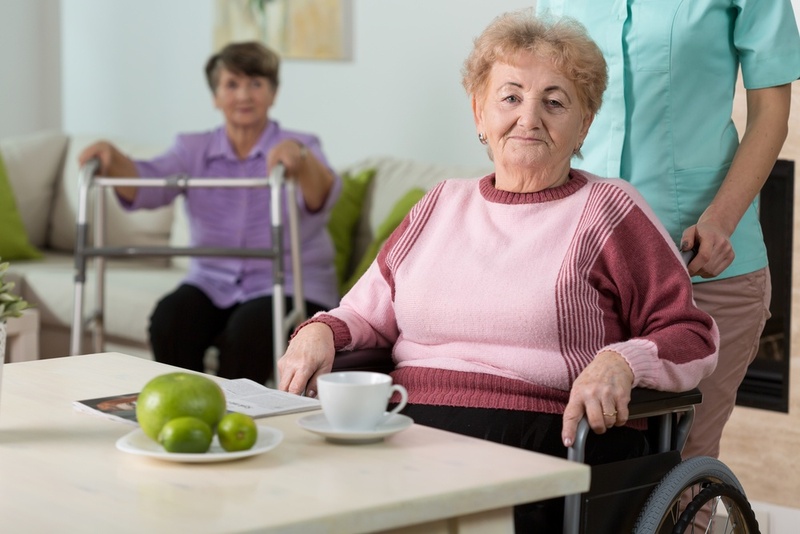 Who pays for a nursing home stay when a patient isn't able to pay for it themselves? I went through a crash course recently while helping a friend who needed a nursing home. I'll share a few insights with you from that experience. Susan was admitted to the hospital following a serious injury from a fall. The doctors decided she needed to be admitted to a skilled nursing facility (SNF) for rehab following her hospitalization to improve her balance. Lesson 1: Rehab/nursing home stays are only covered by Medicare if a patient is first admitted to a hospital for 3 midnights. You may think you're admitted to the hospital but you may actually only be on observation status. Observation status does not qualify you for medicare coverage for a skilled nursing facility. Unfortunately, just because the team says they are "admitting" you to the hospital does not mean you're on admission status. Ask your nurse, doctor, or the admissions team if you are "admitted" or on "observation status." Thankfully, Susan had been formally admitted for 5 days so her stay at the skilled nursing facility (SNF) for rehab was covered. None of these options were ideal: While her care needs could be met at an ALF or RCFE, Susan didn't have the income necessary to pay for either and Medi-Cal wouldn't cover her care there; her family couldn't care for her at their home nor contribute financially. She was happy at the nursing home, so staying there seemed like it would be the best option. Unfortunately, the SNF quickly let her know that they only had two Medi-Cal beds, which were already taken, and they would evict her when her Medicare payments stopped. Additionally, they said she would never qualify for Medi-Cal coverage as she "wasn't sick enough." Their insistence didn't mesh with my understanding of Medi-Cal so I started researching. In the meantime, the SNF offered to have a placement agent with whom they work closely help her find a new place to live. Susan agreed. I had reservations, as I suspected the agent would be working to please the SNF rather than Susan. Indeed, that was what happened. Lesson 2: If working with a placement agent, ensure they are working for you. Placement agents are free to patients/families to use; they are paid a referral fee by the facilities with whom they place people. Thus, an unethical placement agent may encourage a resident or family to select a facility that will pay a larger referral fee, even if it's not as well suited to the resident. In this case, the placement agent found a room and board that would provide "24/7 supervision" and assistance with toileting. The placement agent urged Susan to move there, presumably motivated by their referral relationship with the SNF. One catch: room and board homes aren't licensed by the state to provide supervision or assistance with ADLs! Lesson 3: Understand the risks of living in an unlicensed facility. Unlicensed facilities are frequently shut down by the State. When this happens, residents have to find a new place to live. Given they are not licensed, if care violations arise, there's no one to call for help enforcing regulations. Additional concerns arose; when a family member went to visit the room and board, the person who was "supervising" the residents was away for "a few hours." How then would this person supervise Susan when he wasn't even there? What would happen if she needed to go to the bathroom while he was gone? What if she fell? How was the room and board avoiding legal requirements around the number of hours worked as this supervisor was supposedly working 24/7, 7 days a week? Additionally, the home didn't appear to meet basic code requirements and residents lived three-to-a-room, beds squeezed into rooms. It was not a suitable or safe place to live. Based on her family member's recommendation, Susan declined to move. Susan's refusal prompted further threats of eviction by the SNF. How could we fight the SNF's pending eviction? Part 2 will review this process.